31-Year-old Gaelle Nayo Ketchanke, a French weightlifter broke her arm in 2 places during the European Weightlifting Championships. Warning, Graphic Content Below. The images below are not for the soft-hearted viewers. 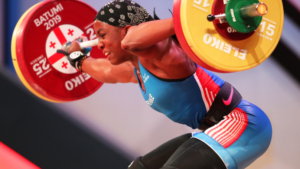 Gaelle Nayo was attempting to lift 110 kilograms in the women’s 76kg category during the European Weightlifting Championships that was being held in Batumi, Georgia. Nayo failed to complete the lift, and on her third attempt she did manage to lift the bar above her head, but her left arm gave away and was broken in 2 parts. The French team confirmed that the arm of Gaelle Nayo Ketchanke was broken in 2 places. Gaelle Nayo Ketchanke was rushed to a hospital and underwent surgery. The European Weightlifting Championships was being live streamed by the European Weightlifting Federation, but after the incident happened, the camera feed was changed to the team of Gaelle. Gaelle Nayo Ketchanke won a bronze medal for her 103kg opener in the championships. 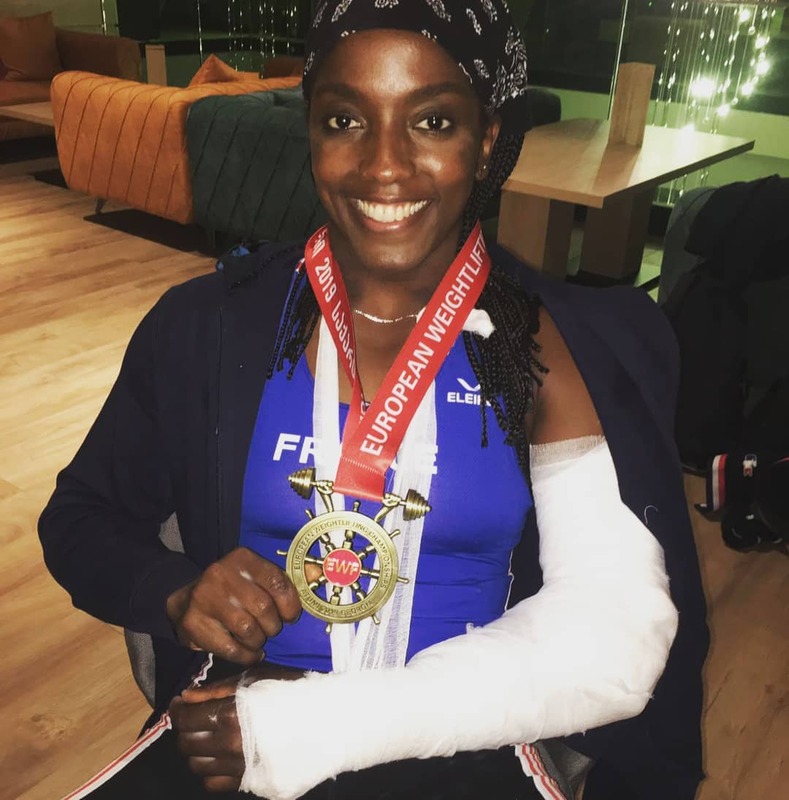 Gaelle Nayo Ketchanke posted an update on Instagram and shared what happened, the weightlifter shared a photo of her smiling while she holds her bronze medal and her left arm in a cast.